Adelia has given solo performances in Queen Elizabeth Hall, Wigmore Hall, Royal Festival Hall, Fairfield Halls and 10 Downing Street, and has toured France, Spain, Italy and Germany. She was the winner of first prize and audience vote in North London’s International Solo Bach Competition (2009), first prize in string section of Tunbridge Wells International Competition, and the prize for ‘Best interpretation of a Hungarian piece’ in the Carl Flesch competition in Hungary. She is the recipient of numerous awards and scholarships including the Manoug Parikian award at the age of fourteen, Philarmonia MMSF awards and the Countess of Munster scholarship twice in 2011 and 2012. Adelia has played concertos by Elgar, Prokofiev, Mendelssohn, Bruch and Vivaldi with orchestras across England, and has participated in masterclasses with legendary violinists Ida Haendal, Yehudi Menuhin, Edward Grach and Pinchas Zuckerman. Last year Adelia was made one of the six Selected Artists in Making Music’s 2013-2014 scheme, and put on the Countess of Munster recital scheme. 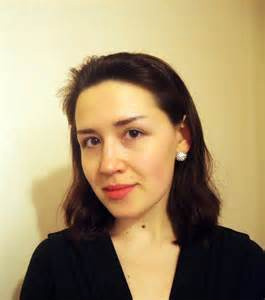 Adelia was born in 1989 in St Petersburg, Russia, soon moving to England with her family, where she attended the Yehudi Menuhin School and Purcell School of Music, studying violin with Natasha Boyarsky and Felix Andrievsky. She completed her Bachelor of Music at the Royal College of Music, and last year graduated with a Distinction in Masters of Performance from the RCM with Itzhak Rashkovsky (violin) and Adrian Butterfield (baroque violin). During her studies she received an Orpheus scholarship and was awarded an RCM Marjorie and Dorothy Whyte Memorial Fund upon graduating. She was sponsored throughout her school and college years by the London J & A Beares firm who lent her very fine violins on which to play; she now plays on an Italian violin by Lorenzo Storioni, kindly lent anonymously through Beare’s International Violin Society. Craig studied piano accompaniment with Michael Dussek and Diana Ketler at RAM, followed by two years as a Junior Fellow of Piano Accompaniment at RCM. 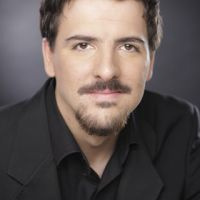 In recent years he has been accompanist at the Solti-Te Kanawa Accademia in Italy, Recontres Musicales D’Enghiens in Belgium and the Schiermonnikoog masterclasses in Holland, working with teachers such as Dame Kiri Te Kanawa, Jonathan Papp, Daniel Ottevaere and Mitsuko Shirai. He made his Wigmore Hall debut in 2010 with oboist James Turnbull and in 2011 conducted London Youth Opera’s production of The Magic Flute.